This is a Prey guide. Here you will find details on the mindjack ability. The Mindjack is a very efficient ability learned from the telepath enemy. Telepaths use this ability to control the unfortunate inhabitants of Talos-1 in order to do his bidding. However, what works for the monsters also works for Morgan Yu: with this ability, you can jack into the minds of the typhon. This ability allows biological enemies to fight for you for up to 20 seconds. Aside from controlling enemies to do your bidding, the mind control also frees humans from typhon mind-control. Upgrade this ability to increase the amount of time enemies will fight for you. Protip: Get Mindjack III for fun, not for survival. 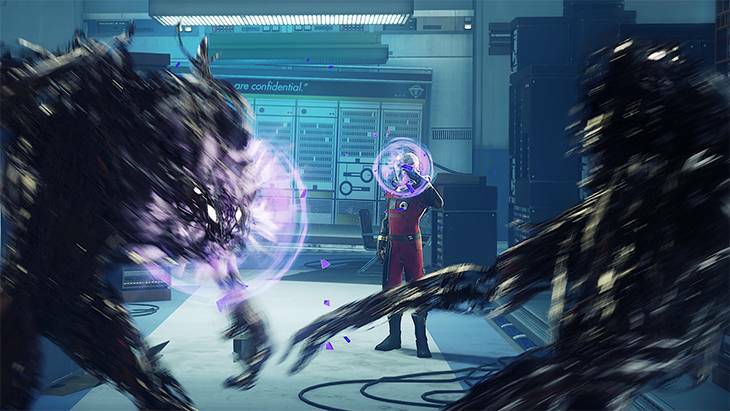 Mindjack is effective when engaging with bosses like the nightmare, since this ability pits the targeted enemy against its allies. Force biological enemies to end hostilities and fight for you up to 20 seconds. Also frees humans from Typhon mind control. Force biological enemies to end hostilities and fight for you up to 40 seconds. Also frees humans from Typhon mind control. Force biological enemies to end hostilities and fight for you up to 60 seconds. Also frees humans from Typhon mind control.